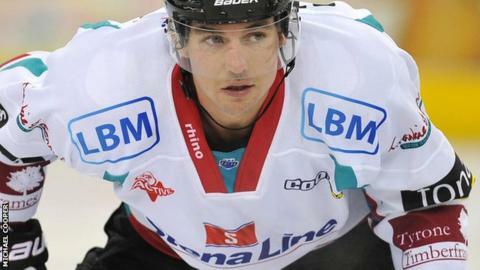 Belfast Giants forward Greg Stewart has been banned for a total of nine matches following incidents in last Sunday's match against Cardiff Devils. After viewing video evidence, the Elite League's disciplinary committee issued Stewart with a three-match suspension for checking to the head. Stewart got a further three matches for kneeing an opponent after a complaint lodged by the Devils. Three more games were added as the offences happened in the same match. The Giants said coach Doug Christiansen, currently in Latvia with the GB national team, was unhappy with the decision and confirmed they would appeal. "These two incidents in the game were worthy of match penalties and, after a review by the committee, we have decided to impose the minimum tariff for each," said the league's Head of discipline, Simon Kirkham. "As both incidents are nasty and happened in the same game, we have decided to add an extra three matches to make a total of nine."